Rolling Stone magazine caller her "one of the most important female singer/songwriters of the '60s and '70s." 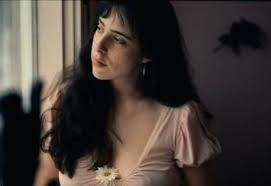 Laura Nyro was born today, October 18, in 1947. She achieved critical acclaim with her own recordings, particularly the albums Eli and the 13th Confession and New York Tendaberry, and had commercial success with artists such as Barbra Streisand and The 5th Dimension recording her songs. Her style was a hybrid of Brill Building-style New York pop, jazz, gospel, rhythm and blues, show tunes, rock, and soul. Between 1968 and 1970, a number of artists had hits with her songs: The 5th Dimension with "Blowing Away," "Wedding Bell Blues," "Stoned Soul Picnic," "Sweet Blindness," "Save the Country," and "Black Patch;" Blood, Sweat & Tears and Peter, Paul, and Mary with "And When I Die;" Three Dog Night and Maynard Ferguson with "Eli's Comin';" and Barbra Streisand with "Stoney End," "Time and Love," and "Hands off the Man (Flim Flam Man)." Nyro's best-selling single was her recording of Carole King and Gerry Goffin's "Up on the Roof." Nyro had a relationship with singer/songwriter Jackson Browne in late 1970 to early 1971. Browne was Nyro's opening act at the time. Nyro married Vietnam War veteran David Bianchini in October 1971 after a whirlwind romance. The marriage ended after 3 years. In 1975, Nyro split from Bianchini and it was also the year her mother died from ovarian cancer at the age of 49. In the early 1980s, Nyro began living with painter Maria Desiderio, a relationship that lasted 17 years, the rest of Nyro's life. In late 1996, Nyro, was diagnosed with ovarian cancer. She died of of the disease on April 8, 1997, at 49, the same age at which her mother died. In 2012, Nyro was posthumously inducted into the Rock and Roll Hall of Fame.